This eviscerating passage might have served as an epigraph for the stunning short novel Schöne Tage (1974, translated into English by Anselm Hollo as Beautiful Days) by Bernhard’s Austrian contemporary Franz Innerhofer. Innerhofer may not provide quite as explicit a condemnation as Bernhard, but the picture he portrays of Austria works its way even more infectiously under the skin, a relentless catalog of recriminations that point an accusing finger at the “brutality and neglect” that mark the society Innerhofer depicts. It would be difficult to imagine a work with a more cuttingly ironic title. Torn away from the care of a childless woman, Holl suddenly found himself transplanted in an alien world. Over the next few paragraphs, we are able to put the line in context, recognizing that Holl, Innerhofer’s vulnerable young protagonist, has in fact only recently been born (his birth coinciding approximately and symbolically with the end of World War II). Holl might as well not have come into the world, however, given what proceeds from his initial experience of being “torn away,” for the following pages depict an almost endless stream of abuses heaped upon the poor, illegitimate child. This initial separation from a “childless woman,” his caretaker for his first two years, is but the first of several wrenching dislocations. His next years are spent in wretched poverty with his mother, distinguishable from other adults chiefly by her being “the one who spanked him more often than any of the others,” and a neglectful stepfather, who has led “an unimaginably hard life from childhood on,” in Holl’s youth occupying the social status of disgraced former Nazi, “a pariah, full of inarticulate rage” (“inarticulate rage” is a recurrent phrase that characterizes the state of most of the adults in Beautiful Days). At age six Holl, essentially a welfare charge, is abruptly shunted off to live on Farm 48 in Haudorf in northern Austria with the father he’s never known, a brutish lug referred to in the novel only as “The Farmer,” and a cold stepmother, “The Wife.” Their identification by social role underscores his new guardians’ functional, passive-aggressive behavior towards Holl, whom they treat as little more than a nuisance and slave, and who seems to exist only “in terms of chores to be performed.” His new family simply replaces one set of abusive adults with another (Haudorf proves an apt name for the area in which Farm 48 is located, as the word’s root literally translates as “beaten down”). Holl is thrust into backbreaking farm work scarcely fit for an adult, let alone a mere child, and spends his long days in mud and manure, in fields and stables, valued beneath the livestock and, at home, berated and beaten into submission. The abuses Innerhofer catalogs in Beautiful Days brutalize the reader as well in both their individual occurrences and their cumulative effect, and it is only Holl’s inner resistance and instinctive sense of the injustice of it all – as well as Innerhofer’s tremendous talent as a writer - that makes the novel bearable in the least. The starkly unsentimental, largely realist style of Beautiful Days leads the reader through Holl’s bleak daily cycle of bedwettings, physical and psychological abuse, hard labor, and unwelcoming home life, punctuated for the most part only by the oppressive heat of summer and the bitter cold of winter, by accident and death among the other workers and the livestock (calamities apathetically absorbed by the adults as though they were inevitabilities). Despite this gritty realism, Innerhofer also strings Holl’s tale onto a frame that allows his story to be seen as both particular and universal; Holl’s sufferings are not simply his own, but represent those inflicted by the failures of society as a whole. Innerhofer directs his condemnation of the treatment Holl receives not only at its immediate perpetrators but also at the institutions that allow such barbarities against children. Thus Holl’s anticipation that these institutions will intervene in some way to lessen his oppression meets with repeated disappointment. A burgeoning hope that mandatory schooling might provide an escape valve, that “homework…would liberate him from labor” (an almost certainly deliberate reformulation of the “Arbeit macht frei” of Hitler’s camps), evaporates as school quickly reveals itself as simply another piece of the machinery designed to keep children like Holl from attaining personhood, just another place where adults feel free to strike and degrade him. The church acts as an equally dehumanizing institution, designed to enforce ideology and conformity rather than provide solace or alleviate suffering. 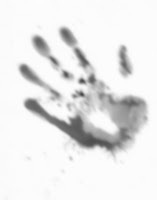 The ineffectual visits from child welfare officials, who fail to look beyond social surfaces carefully polished by adults eager to put the best face forward so as to mask the daily brutalities they inflict, reveal a welfare system abjectly derelict in its duties. Innerhofer also employs an intensely effective kind of dialectic in the use of third person narration that juxtaposes and entwines simple, childlike sentences – “Every morning began in pain;” “It was still August;” “The train moved much too slowly;” “The train went much too fast” – with those of an omniscient narrator reporting and interpreting Holl’s life through adult retrospection. The result is a complex narrative style that allows a reader to be simultaneously inside Holl’s childhood world and outside it as a mature, almost clinical observer. An unusual tone is achieved through this variation, one that combines the straightforward simple storytelling of a children’s story or fable (one not entirely without humor) with the critical insight of a consciousness evaluating the fable as it’s being told. Another notable narrative element is Innerhofer’s frequent use of italicized words and phrases. These serve to stress - like an insistent finger tapping the chest of the society Innerhofer charges with so many reprehensible failures - the fundamental aspects of Holl’s situation that could have been altered to make his life better. They’re used not so much to scold as to resolutely and with overwhelming force of conviction cast light on injustices and educate ignorance, serving as controlled, focused remonstrations without overt emotion but nonetheless brimming with indignation. At the same time, Innerhofer uses these italicized phrases to identify and dismantle the language of oppression, to take it apart at a linguistic level. For example, in Holl’s musing at the way the society characterizes suicide, one such phrase – that so and so “put an end to it” – becomes an expression Holl sees as a consensual, passive acceptance of suicide, as though it were an act completely independent of exogenous, societal influence, a failure of the individual having nothing to do with its social context. One of Innerhofer’s great achievements in Beautiful Days is a careful balance between Holl’s particular, grim situation and its generalizability even beyond the period and its Austrian setting and institutions. The field labor in which Innerhofer’s characters are engaged might stand in for any kind of menial, coercive labor. The cruelties displayed by those around Holl could be found in other oppressive environments. And the indignation aimed at those responsible is leveled not simply at the malice of individuals, but at an entire society that expresses an almost autonomic neglect of its most sensitive and vulnerable members. The patterns of brutality and neglect so pervasive in Beautiful Days become a condemnation not only of Austria, and not only of the country’s noxiously acquiescent conformity perhaps most dramatically highlighted by its nearly unanimous support of Hitler’s Anschluss (references to historical particulars are certainly not absent in Beautiful Days, but are kept at a minimum), but of all societies that rest on their failure to rise above the most expedient social interactions and decline to treat kindness, generosity, and, especially, the care of children and cultivation of talent, as fundamental priorities. Innerhofer’s most severe criticism targets these failures across an entire society to exert agency and responsibility, to combat the accepted and the unacceptable. There is a generous element in Innerhofer’s “lessons” (one that appears to distinguish it from Bernhard’s unmitigated wrath); it may not be forgiveness exactly, but there is at least a value placed on understanding that the cultures’ deficiencies descend from the contributions of poverty, institutional weaknesses, and a lack of education and opportunity. Part of the power of Beautiful Days derives from its acknowledgement of the psychology of brutality and neglect, its recognition of cycles of abuse and of economic and other factors contributing to the behavior of the society, at the same time refusing to allow these factors to absolve actors of their responsibility. One of the novel’s most breathtaking scenes involves the sudden appearance on Farm 48 of Helga, a no-nonsense worker who sees with piercing clarity, as does Holl, the injustices of the culture, but who unlike Holl has the fearlessness to refute them at every turn. Confronting The Wife one night, Helga smashes a bowl in an act both castigating and educating, forcing The Wife to recognize that human beings - who are not, after all, bowls to be shattered - should not be treated as though they were. Helga’s short stay at Farm 48 is the first genuine glimmer of hope in Holl’s miserable existence, the first real model for resistance that life has offered him, and a vindication of his own conviction that the behavior directed at him has been a matter of inexcusable injustice (as well as an austerely beautiful moment in the novel - Innerhofer acutely depicts the ability of children to know justice and injustice as a matter of the behavior around them while also recognizing their need for adult affirmation of these convictions). Beautiful Days leads the reader to a simple yet radical conclusion encapsulated in what is perhaps the most significant milestone in Holl’s personhood, his apprehension “that it could have been different, all of it.” With this brief line, this explicit rejection of the status quo, Innerhofer obliterates excuses and justifications, reorienting the wretchedly deficient adult world to a measure of morality like that asserted by Dr. Rieux in Albert Camus’ The Plague in Rieux’s refusal “to love a scheme of things in which children are put to torture.” I know of nothing quite like Innerhofer’s achievement in Beautiful Days, the clear-sightedness with which, in such a short novel, he is able to illuminate so vividly the unjust waste of years of a child’s life (that the novel is apparently largely autobiographical may explain much of the visceral realism of the scenes Innerhofer describes), while at the same time delivering a blistering reproach of an entire society’s participation in that injustice. One emerges from Beautiful Days wanting nothing less than to insure the reality of that ideal set forth by John Dewey, that what the wisest and best parent wants for his or her child is what the community should want for all of its children. In the end, the caustic irony of Innerhofer’s title may be more complex than it at first seems. An incisive sarcasm is intended, to be sure, but at the same time the title also acknowledges the beauty occasioned by Holl’s rare moments of happiness and wonder, of hope and of humanity, in the context of his otherwise crushing, mean life. And it must surely celebrate, without irony, the path to liberated selfhood that a sudden opportunity provides to Holl, one that mimics, in its autobiographical element, Innerhofer’s own escape from an inexorable and laborious childhood to pursue his becoming a writer. Perhaps, too, the title may be a poignant and pointed acknowledgment of the writer’s essentially aestheticizing role in his alchemical transformation of difficult experiences into art, and a subtle reminder that behind the fiction, there’s a real world where such unconscionable behaviors take place. It’s shattering to learn that this author who lived as well as created such a defiant and resilient young character would, in 2002, submit to suicide. After reading Innerhofer’s indelible, devastating novel, one is hard put not to think of that as Austria’s failure - and as our own as well should we not aspire to make, of all of our days and for all in the wide scope of our care, something beautiful. I read Beautiful Days as part of German Literature Month, kindly hosted by Caroline of Beauty is a Sleeping Cat and by Lizzy of Lizzy’s Literary Life, and am grateful to them both for this opportunity to become familiar with Franz Innerhofer’s amazing work for the first time. Someone with a far better knowledge of Austrian literature than I might be able to determine whether this “anti-fable” is an intentional refutation of the romantic, moralizing work of Innerhofer’s Austrian predecessor, Adalbert Stifter; in both Beautiful Days and in Bernhard’s Correction one finds disparaging allusions to Stifter, something I might not have noticed had I not coincidentally read his Rock Crystal some months prior to reading Correction). As a matter of fact, I did not know Canaviais no vento (1913) nor its author, Grazia Deledda (1871-1936), but a mention of any work of literature in a book by Italian writer Antonio Tabucchi almost inevitably sends me off to track it down – and bait like the above was completely irresistible. One seldom knows, however, when one writer mentions another writer so obliquely, whether or not a compliment is intended. In Tabucchi’s enchanting story the title is given in Portuguese (the original Italian title of Deledda’s novel is Canne al vento, rendered as Reeds in the Wind in the English translation by Martha King), as the speaker of the passage is a singer in a bar in the Azorean port city of Porto Pim who tells the visiting Italian writer an intimate tale of his youth, one with some relevance, it turns out, to the Deledda novel he so admires. Nonetheless, I took Tabucchi’s bait, and much to my surprise chomped down on a surprisingly lyrical, moving and unusual novel - authored by a winner of the Nobel Prize for Literature (1926) no less. With a title as naturalistic as Reeds in the Wind - and indeed, the title refers to the main character’s assertion that people “are like reeds in the wind…We are the reeds and fate is the wind” - one might have reason to expect a banal slog through romanticized, deterministic peasant life, but from the first pages Deledda’s novel proves a humanistic and intensely lyrical work of intimate, strong emotions; intricate moral struggle; the complexities of caste, power and poverty; and the quest for meaning and redemption. Set in a small village just inland from the east coast of Italy’s island paradise of Sardinia, Reeds in the Wind is largely a novel of the poor and the aged. The main character, Efix, is an elderly servant on what remains of what was once a large farm belonging to Don Zame and his four daughters, the Pintor sisters. We learn early on that one of the daughters, Lia, escaped the island many years before, leaving behind her three sisters and an enraged and shamed father who, during his search for his escaped daughter, had been found dead one morning, perhaps of a stroke, though a small mark on his neck suggests that something else – a malevolent island spirit, or perhaps a more human intervention – might have been to blame. Lia’s disappearance, however, has not been altogether complete; shortly after her decampment, a letter from mainland to her sisters had assured them she was well, and, as the novel opens 20 years after her departure, the sisters have received another letter announcing the imminent arrival in the village of their nephew, Lia’s now grown son, Giacinto. In a small and superstitious community like this, the mere receipt of the letter is enough to cause concatenating ripples. And as the novel unfolds, Giacinto’s visit – and his struggle between duty and dissipation - is recounted through the impact it has throughout the village and the devastating consequences it holds for the sisters and for Efix. Deledda captures beautifully the overlapping of emotions built up over decades between people who live in tangential relations and who have a long history of buried feelings towards one another bespoken by only the most laconic of communications. As well, she captures the weight of such uncommunicated emotions and of the poverty that presses upon Efix and the Pintor sisters, who have seen their holdings decline steadily until they themselves are threatened with direst poverty. As though to mock their fall, the ruins of an ancient baron’s castle dominate the valley in which they live. Deledda’s characters are replete with human frailties and weaknesses, spiritually and psychologically deformed by the poverty, superstition, and guarded, buried emotions that mark their lives, bent like reeds before the wind by the vicissitudes of events that they see as beyond their control. With its acute attention to the landscape and to the cultural practices of the inhabitants of the region, Reeds in the Wind might easily have slipped into a sort of anthropology of Deledda’s native Sardinia, and there are certainly strong ethnographic elements in the novel, especially in the various festivals and saint days that provide glimmers of joy in the villagers’ otherwise mean existence. Particularly fascinating are the various superstitions and spirits believed in by the inhabitants, who have managed to keep such beliefs alive despite a strongly superimposed Catholic faith (I was reminded immediately of Patrick Leigh Fermor’s observation of polytheism’s generous ability to welcome and absorb new religious traditions). But Deledda’s intentions are not so shallow as to simply give us a portrayal of village life in Sardinia. Her plot unfolds with constant surprises and unexpected turns of event, and levels its focus at the shifting attempts of Efix to establish meaning and free himself from guilt in a pitiable life circumscribed by poverty, loneliness, and neglect. Perennially well-intentioned, Efix’s most charitable efforts often lead to unintended calamities; on top of this his fundamental goodness holds a dark secret. Attempting to balance what little he has in life with a sense of his own inner worth (continually undermined by the sisters, who see him as a mere servant despite his being closer to them than anyone else in the village), his benign attempts to be heard, to be recognized as good in others’ eyes, lead him drifting into an untethered, almost picaresque, searching life implicative of Christ’s wanderings in the desert (though considerably more handicapped by the infirmities and indignities of age). That Efix is a Christ figure is altogether obvious, even from the cross that ends his name, but Deledda is far too humanistic and subtle a writer to allow this memorable character to be in any way diminished by his employment in symbolic service. Efix remained motionless, waiting. The moon rose before him, and evening voices told him the day had ended: a cuckoo’s rhythmical cry, the early crickets’ chirping, a bird calling; the reeds sighing and the ever more distinct voice of the river; but most of all a breathing, a mysterious panting that seemed to come from the earth itself. Yes, man’s working day was done, but the fantastic life of elves, fairies, wandering spirits was beginning. Ghosts of the ancient Barons came down from the Castle ruins above Galte on Efix’s left and ran along the river hunting wild board and fox. Their guns gleamed in the short alder trees along the river bed, and the faint sound of barking dogs n the distance was a sign of their passing. Efix could hear the sound that the panas – women who had died in childbirth – made while washing their clothes down by the river, beating them with a dead man’s shin bone, and he believed he saw the ammattadore (the elf with seven caps where he hid his treasure) jumping about under the almond woods, followed by vampires with steel tails. A more careful reader than I might, as an experiment, apply some basic astronomy to Deledda’s wanton literary use of the moon, which seems to leap full into the sky nearly every night to cast its eerie and encompassing glow over the countryside and sea. I hope I don’t in any way diminish Deledda’s accomplishment by comparing this attention to the landscape to the early fabulations of quasi-anthropologist Carlos Castaneda, whose melding of fiction with fact in ethnographic treatment of practices of sorcery among the Yaqui Indians of Mexico’s Sonora desert contains, for all its obviously kitsch elements, a stirring and memorable evocation of landscape and light as almost living entities with hidden powers. The same sort of vital and mystical atmosphere pervades Deledda’s (mercifully) more sophisticated writing, and the world cannot but look different and more sentient to a reader emerging from her captivating descriptions. When barely launched on her writing career the harsh criticism of relatives and townspeople…had blocked her literary vocation for some time. Good girls did not write stories and novels to be published for all the world to read, whose characters could be cause for ridicule. In order to write, Deledda left Sardinia at an early age for mainland Italy, ultimately settling in Rome, where she was to spend most of the rest of her life. It is difficult to absorb this history without seeing, in the escaped Lia, an image of the author herself in the story. Though taking place 20 years prior to the point at which the novel begins, Lia’s flight acts as the novel’s chief precipitating event, one that governs the subsequent actions of the novel’s characters. Efix’s good-hearted, protective championing of her escape seems to make of Lia an unusual secondary main character, never present (at least not in the flesh – though she appears to Efix occasionally as a kind of trick of light and shadow) but constantly hovering above the novel like a kind of resonating overtone, an overarching presence. She appears to serve as a token of Deledda’s own courage in fleeing the island to carve out a life for herself as a writer, an unusually modernist autobiographical artifact inserted into the novel as an explicit, gentle and forgiving riposte to the community she lovingly depicts in the novel’s fatalistic and insular characters. Though the novel vividly communicates the psychological complexities of this community, it also expresses a distinctly self-reflexive awareness of the writer as observer, raconteur and servant to the articulation of the unarticulated. It’s easy to see how Tabucchi’s own raconteur might have come to value Deledda’s novel above all of the “stupid” books he’s read. The Violins of Saint Jacques, a 1953 novella of some 140 pages, stands out by virtue of its claim to fame as Patrick Leigh Fermor’s sole work of fiction. Those familiar with Fermor’s many outstanding travel books will know that this is true only at a slant; his other works, based in fact and rich in historical and cultural detail, include passages of prose capable at any moment of blowing up like splendid dust devils of imagination into whirls of fantasy and poetry that entwine with the fictional realm. As though an experiment in inverse manner, Violins weaves into its fictional narrative a wealth of factual and historical detail equal to that in any of Fermor’s non-fictional works, as though he’s chosen to use the mold itself rather than the model, providing us a kind of negative of his usual approach such that the fictional elements dominate. The result is a baroque confection of rare concentration, compression and color in which the fiction is created parallel to an actual historical event, such that the full force of the event itself – the catastrophic eruption of Mount Pelée on the Caribbean island of Martinique on May 2, 1902, which purportedly killed all but one of the island’s 30,000 inhabitants – resonates in a way that an actual historical account never could (or should). A ball is almost a short lifetime in itself. Everything that happened beforehand retreats, for the time being, into a kind of pre-natal oblivion and the world waiting for you when you wake up next day seems as vague and shadowy as the eternity that waits beyond the tomb. Like somebody’s life, the ball goes on and on and the incidents stand out in retrospect like a life’s milestones against a flux of time whose miniature years are measured out in dance tunes. The party presents a grand vision of the world in all its complexity, with all the island’s inhabitants participating whether landowner or slave, seafarer or farmer, wealthy scion or banished leper. Love affairs unfold; enemies reconcile; duels are arranged; and a great myriad of events large and small take place amid the night’s dancing, dining, theatrics and intrigues. Fermor’s tale unfolds with the skill of a born storyteller. 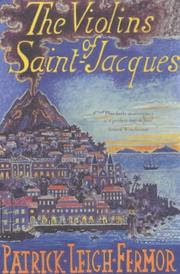 One could be forgiven for mistaking The Violins of Saint Jacques for one of Isak Dinesen’s densely rich tales. As in those tales, the pleasure lies not so much in plot or outcome but in the manner of the telling. That Fermor did not write more fiction is unfortunate, for The Violins of Saint Jacques more than proves his capacity for it, and the sheer delight he takes in language gives the novella an almost delirious atmosphere of exaltation that manages to overwhelm the horror of catastrophe (about which philosophy is kept to a respectful minimum). The island sinks beneath the seas, taking with it its glittering human world in the full flush of both celebration and the courageous or nefarious machinations going on in the shadows beyond, serving as a moral warning for human effort in the face of indifferent powers beyond human control (“as wanton as the blows and tramplings of some immense and muscular idiot”). While the novella comes across as more of an entertainment than a serious treatise on human impotence in the face of raging nature, the harrowing description of the volcano’s sudden explosion and the realization of all the human complexities that it sweeps away present a nonetheless sobering vision of the nothingness beyond death and of the fragility of humanity. In the end, Fermor’s fictional, disappeared island lives on primarily in the mariners’ poignant superstition that lends the novel its title, the sounds of violins and voices they claim sometimes to hear coming from beneath the expanse of water at the site of the disappeared island. There is, however, one other place where life on this fictional island continues, one that Fermor would most certainly have found amusing. In response to various on-line inquiries about the most beautiful place in the Caribbean, someone has posted, on numerous Internet travel forums, a response with which, after having read Fermor’s novel, one would find it difficult to argue. Without question, asserts this clever Internet poster, it is the magnificent Beauséjour Marina and Resort, located on the tiny private island of Saint Jacques des Alisés, somewhere vaguely in the vicinity of Guadalupe and Domenica.